As ADAMS Motorsports continues to put the pieces together ahead of 2019, they are proud to announce that Dwinnells Family Movers will be back as a sponsor of Luke Gignac and the No. 99 Modified. It marks their sixth season partnered with ADAMS Motorsports. Dwinnells Family Movers are dedicated to making every move for you as easy as possible, with professional movers and packagers ready to help you. Whether a large or small amount of property, they provide the right moving and storage solutions to handle any situation. Check out their website at http://www.dwinnellmovers.ca/. The fifth season for ADAMS Motorsports was met with success. 2017 OSCAAR Modiifed Champion Luke Gignac was able to score five top-five and eight top-10 feature finishes, while placing in the top-10 in the year-end standings despite missing some races due to a injury. Gignac will be back behind the wheel for the fourth straight year in 2019, focused on the chasing the championship once again. With the days counting down to the season opener, ADAMS Motorsports is focused on making the 2019 season as successful as possible, putting in the work during the off-season right now. 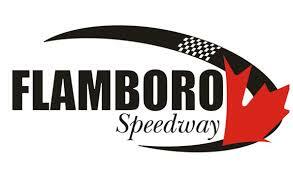 The season will kick off at Sunset Speedway in May. Dwinnells Family Movers joins previously announced sponsors TSS Top Shops, Port’s Heating and Cooling, Duckworth’s Fish and Chips Orillia, and Heritage Heating Contractors on-board the No. 99 Modified.